When most of us think of organizing the hard copies of our photos, we break into a cold sweat. The task seems absolutely daunting. Because I needed to sharpen my skills for our clients and find the simplest way to organize printed copies, I took a course from the APPO (Association of Professional Photo Organizers). There I learned that organizing photos is really as simple as your ABCs. Sounds too good to be true? Read below. Album-Worthy: these are photos that are personal and cherished. Box: photos that are important to keep but need long term storage in archival box. Can: these can be let go of. They may consist of photos that are doubles, unflattering, blurry, of landscapes or scenery, and shots of buildings that have lost their meaning. I know it feels like it goes against nature to toss photos, but if they serve no purpose, they’ve got to go. Story: Does the picture tell a story? Remind yourself of why the photo is important to you in the first place. For example, does it help you remember a long-lost memory? If the photo is not necessarily in quality condition but tells a meaningful story (ex. A picture of your home before it was remodeled), it is worth preserving. 2. After you have the photos sorted into the appropriate piles, it is easier and more flexible to organize them by theme rather than chronologically. The process of theme-based organization moves much more quickly, and it reinforces the reason why the pictures were taken in the first place: to tell your life story. Photos are much more interesting when grouped by theme and show the progression of time in a more exciting and fun way. 3. 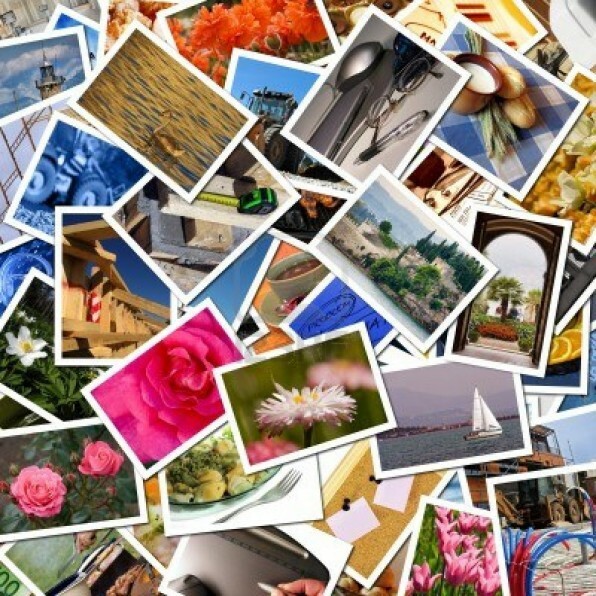 Once you have chosen your themes, choose your photos from the A & S piles and make your albums! Store the B photos in boxes either by theme or chronologically, and well, you know what to do with the C photos. 4. Enjoy your newly organized photos! Quick Tip: set aside a time every year or a few times a year (birthdays, New Years, a random date) to pull out your albums and look through them. Relive that horrible haircut or your child’s first soccer game because it’s by taking the time to take a trip down memory lane you’re able to keep those moments alive.